Dr Az Hakeem is the top gender expert in the UK. He is a consultant psychiatrist and a visiting professor in Psychiatry & Applied Psychotherapy. He ran a specialist gender dysphoria service within the NHS for 12 years, to which patients were referred from all over the UK. He now practises in the private sector at The Priory Hospital, Roehampton, and at Harley Street and continues to work and research in the field of gender dysphoria. He is a senior clinical lecturer at the University of New South Wales, Australia. 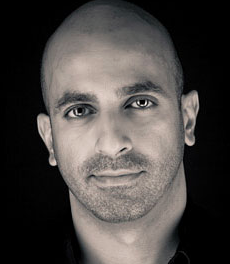 Dr Hakeem has a wealth of media experience, including being the on-screen resident psychiatrist alongside Davina McCall on Channel 4’s Big Brother, and psychotherapist and co-presenter on E4’s Wife Swap: The Aftermath. He has also appeared as resident psychiatrist on breakfast television, both on Weekend Sunrise in Australia and GMTV in the UK. He has featured on screen as an expert on a number of TV documentaries and advised behind the cameras on many other TV programmes. He also speaks at gender conferences around the world. His first book, TRANS - exploring gender dysphoria and gender identity - was published by Trigger Press in 2017. The book's contributors are a variety of international experts, including Professor Kevan Wylie, a world leader in sexual and reproductive medicine, and Dr Fintan Harte, head of the gender identity service in Melbourne and head of the Australia and New Zealand Professional Association for Transgender Health (ANZPATH). The main clinicians involved in all gender identity clinical work in Australia and New Zealand also provide insight to this work. Transgender has become a 'fashionable' topic but very few people understand much about it and it can be all too easy to make assumptions or believe misinformation put about on the internet. This book demystifies the subject and offers a straightforward guide to terminology, issues, hormones, surgery and much more. 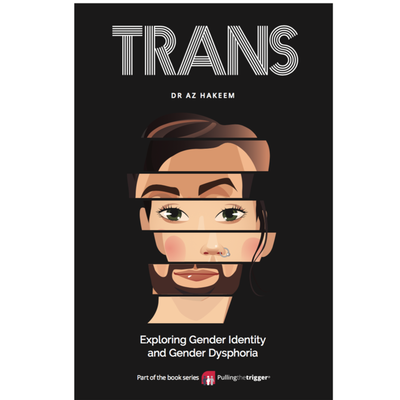 Aimed primarily at the families, friends and loved ones of people with gender dysphoria, it will also hold much interest for teachers, health workers and other professionals.